Meet the Hocus Pocus Trio, launching October 11 at 1pm Central. 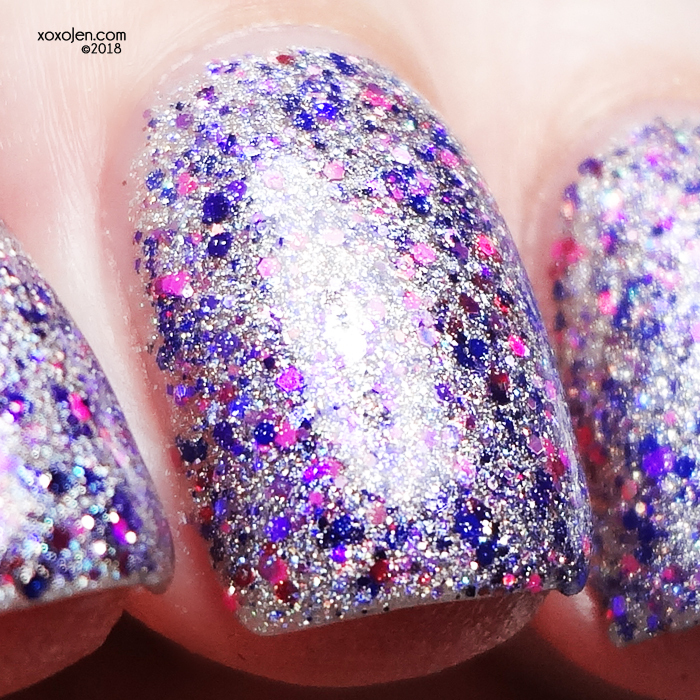 Bubble, Bubble, I’m In Trouble - Holo base with a mix of purple, violet, indigo, magenta, pink and fine holo microglitter. Love the name of this! 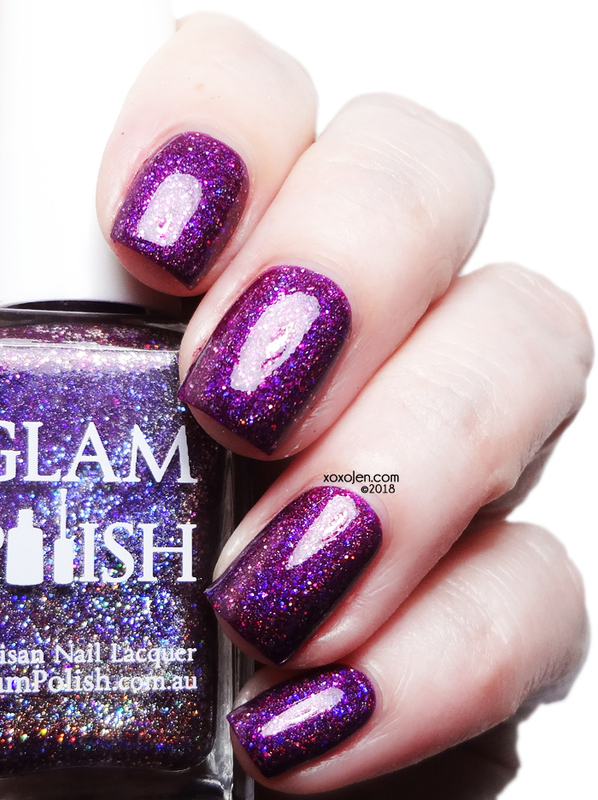 The pink and purple glitter blended with holo sparkle is right up my alley. Damn, Damn, Double Damn! 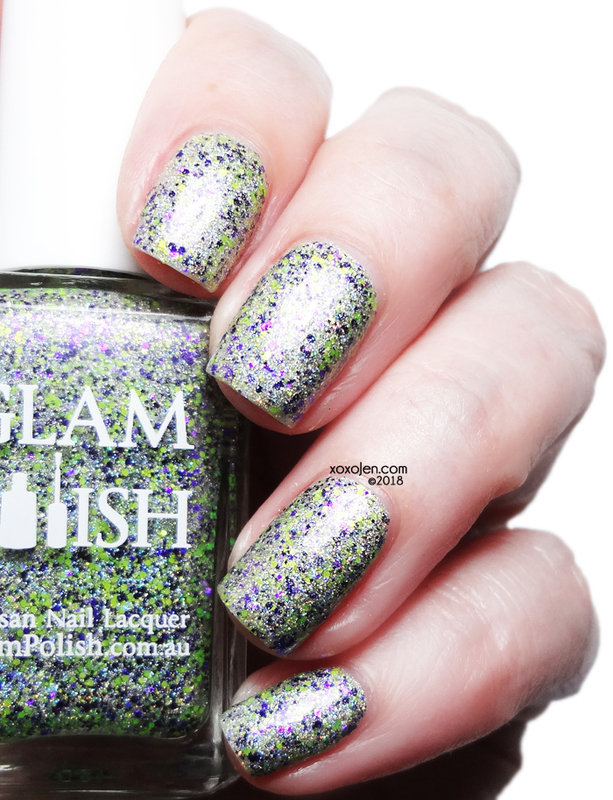 - Holo base with a mix of neon green, metallic purple glitter and fine holo microglitter. 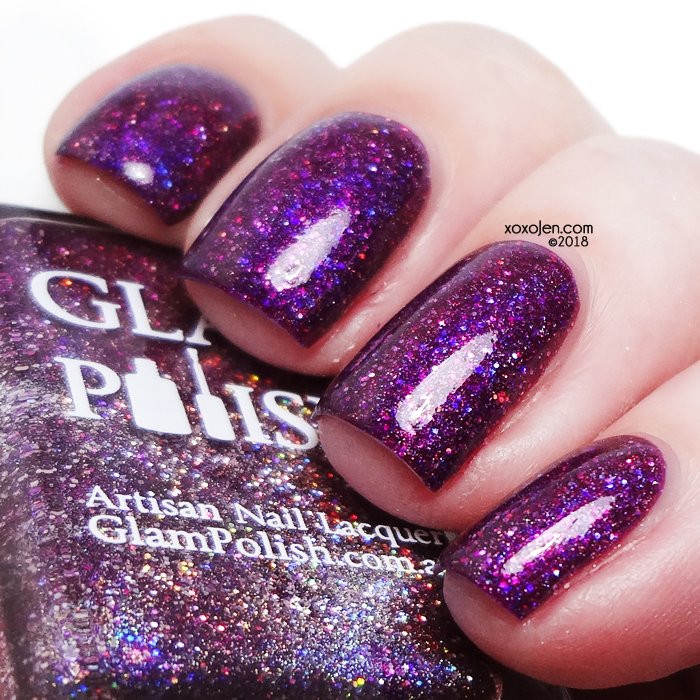 Just A Bunch of Hocus Pocus - Dark plum holo with ultra holo glitter. Holy Smokes this purple! 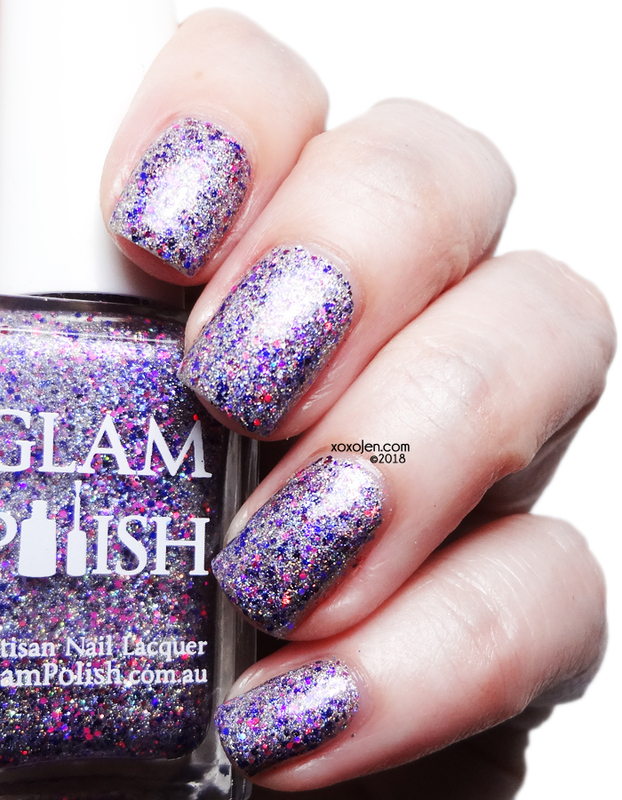 So bright and vibrant and holo, it is insanely beautiful! I wore two coats with topcoat for each photo, the formulas were easy to apply, no issues to report. 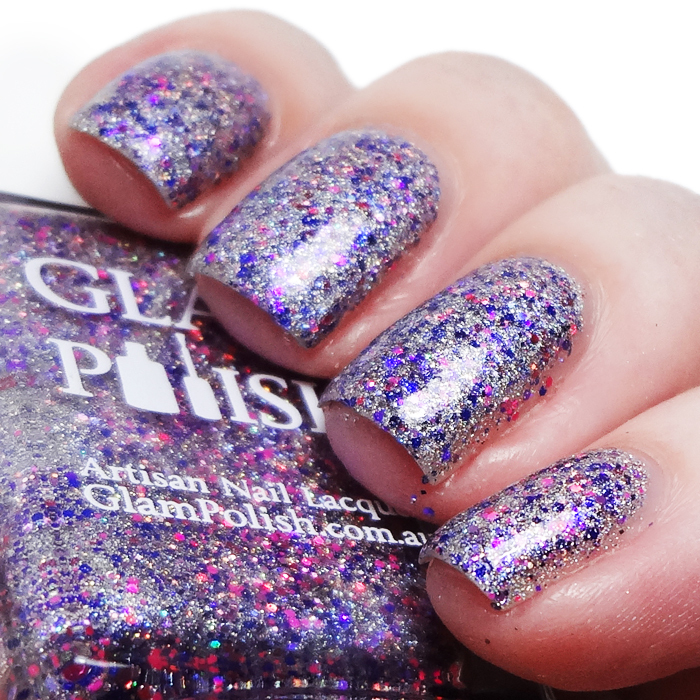 Get your set at the Glam Polish shop on October 11 at 1pm Central.